You know, that’s what I want to be…running over with hope! I want to dare (?) to throw my whole life and everything I have into building a dream that comes from the heart of God(?). I want to get out there so far that without God’s help, I can’t get back (?). Many people don’t think that way though because they’re afraid to fail. Fear of failure is dangerous. If you let it dominate you, it will cause you to do the one thing that inevitably guarantees failure and that’s not attempting at all. How do you counteract the fear of failure? You turn up your hope. You get alone with God and listen to Him. You meditate on His promises until the picture is so clear on the inside of you that nothing can jar it out of you. If you’re lying on a sickbed and the doctor has told you you’ll never walk again, instead of wallowing around in that bad report, you start dreaming(?). You start building a dream of climbing mountains and witnessing to people in the backwoods(?). Go to the Word that promises that those who wait upon the Lord shall run and walk and not faint or be weary(?). Look at it until you see nothing else(?). Picture(?) yourself walking for miles and running from one place to the next, telling everyone that Jesus has raised you up and made you whole. That’s what hope is all about(?). It’s a divine dream(?). It’s an inner image (? )that’s bigger than you are because it’s built on the promises of God. If you’re a Christian, you ought to be a dreamer(?). Take the Word of God and build some dreams today(?). 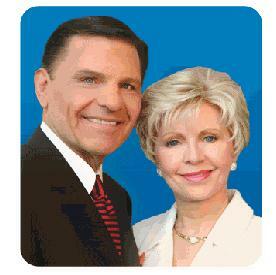 © 1992 Eagle Mountain International Church aka Kenneth Copeland Publications. All rights reserved. Copyright © 1997-2010 – All Rights Reserved. Hence Paul was referring to this God-given ‘hope’ given to the Gentiles; their inclusion in the plan of salvation! Clearly, Kenneth Copeland’s reference to the verse is absurdly out of context, a manipulation of the Scripture. Paul, by no means, is talking about the kind of hope Kenneth has in mind. Such twisting and manipulation of the Holy Scriptures is what is often done by ministers to please their congregation, supporters, partners etc in order to gain popularity, financial ‘support’ and any other ungodly reason. This is the best way of ‘itching the ears’ of the masses: come up with a worldly/carnal teaching and support it with random Scripture to give it a Christian touch. Taking a closer look, KC is referring to is the fleshly ‘hope’ of ‘I want’: I hope I get that job; I hope I get a good grade; I hope I recover etc. Although I do not say that God is against such desires, they cannot overlie our foremost desire to let God have His way. When a person obeys the LORD there’s NO fear of failure! It is not in our strength to “overcome” the fear of failure; when God directs and we obey, He will bring it to pass. When the Lord God called Moses and commanded him to confront Pharoah, he was afraid (who wouldn’t be!) But God didn’t leave it up to him to work out his fear of failure. He demanded obedience, and in turn assured that He was with him. When it came to spreading the Gospel of salvation, the apostles were chosen and empowered by the Holy Spirit. They proclaimed boldly – no place for failure there. Why? Because they knew that they were commanded of the LORD to go, after being empowered by His Spirit. They obeyed, and hence they had no fear of failure! “I want to dare to throw my whole life…. into building a dream which is from God’s heart” – God doesn’t need daring people, He wants obedience! Failure and disobedience to God are directly related! How do you counter the fear of failure? By obeying God, obey His light-giving, life-giving Word! Regardless of the situation, your feelings, other voices etc, do what He has told you to do, do as He leads. Seek His wisdom. As His saints, we are not to live by the science of positive thinking and positive wording – that’s all New Age jargon that the church has brought in, compromising it with random promises of God. Faith preachers merely use the fearful Word of God to have their way. Nowhere does the LORD (in the OT or the NT) say that if you start dreaming of what you want, you will have it! Such blasphemy! Whatsoever happened to prayer (“by prayer and petition with thanksgiving bring your requests (not demands) to God)? Kenneth Copeland seems to be bent on using mental imagery! Whatever happened to “Seek first the Kingdom of God, and HIS righteousness, and all these things (things we need – food, clothes etc) will be added unto us” (Mat 6:36)? Picturing our desires does not bring them into existence! Such are the teachings of the secular psychiatrists, the New Age/Thought preachers etc. Our minds have power but it goes against the purposes of God. Many unbelievers have their dreams come true because they depend on themselves, they are determined of their own accord and do not desire to obey God. This is the system of the world! (Also, funny how KC sneaks in “witnessing to people”, “telling everyone that Jesus has raised you up…” in order to give some Christian touch to his new thought teaching!) We must discern images that enter our minds, when they are of our own selfish desires we must give them up. Mental imagery and picturing is not what hope is ALL about! ‘Divine dreaming’ (if there is such a thing) will not fulfil your wants! If there’s no suffering, hardships, sorrows in this life, what’s Heaven for? According to the Bible it’s a place where there will be no more sorrow and suffering. Mental imagery is what the New Agers teach. Supporting secular teaching with verses from the sanctified Word does not change the core of such teaching. Worldly teaching and the holy Word are antagonists! And lastly, since when did God in His infallible Word say that dreaming is a qualification for being a Christian?? Now, how could the apostle Paul possibly forget to mention in his epistles about “divine dreaming”? And the apostles John, James and Peter too? They missed out on the fundamentals of Christianity which KC alone knows – IF you’re a Christian, you OUGHT to be a DREAMER! (Is it just me or does KC’s statement sounds similar to the devil’s when he tried to tempt Jesus saying “If You are the Son of God, turn these stones into bread”?) Now I finally know what one has to do to be a follower of Christ, dream. And of course, KC alone knows the other secret of the powerful, infallible, eternal, sharper than a double-edged sword Word of God is to use it to have our way by building our own dreams! Putting sarcasm aside, did Paul not warn that if anyone preaches another Gospel, even if it’s an angel, that such a one should be eternally condemned? (Gal 1:7, 8)) The verses in the Bible are not at our disposal! They are not magic spells that, when held on to or spoken out, bring to pass our desires! Rather, the entire Scripture is inspired of God, and is useful for reproving, correcting, rebuking, encouraging, (2 Tim 3:16, 17 ) and not for fleshly success. Anyhow, in short, one should never fear failure when he obeys the God who holds the future. Failure is guaranteed only when one chooses his/her own way rather than the Almighty, the All-knowing God’s!